Maple syrup is a traditional sweetener rich in nutrients, and a much better choice the most of the cheap highly processed sweeteners currently in the market. Grade B is darker and more nutrient dense than Grade A, and is therefore preferred for its nutritional value. Similar to any other plant-based product, look for maple syrup produced in small batches by small-scale producers who practice sustainable and organic practices, where the maple trees are part of a natural diversified forest. The best maple syrups are not harvested from a mono-crop maple tree farm planted specifically for maple syrup production. Maple syrup is one of the many wonders of the world and far more than a simple sweetener. Maple syrup is not only rich in essential nutrients such as manganese as well as zinc, but 34 new beneficial compounds discovered just a few years ago have been confirmed to play a key role in human health. The process of making maple syrup is an age-old tradition of the North American Indians, who used it both as a food and as a medicine. They would make incisions into trees with their tomahawks and use birch barks to collect the sap. The sap would be condensed into syrup by evaporating the excess water using one of two methods: plunging hot stones into the sap or the nightly freezing of the sap, following by the morning removal of the frozen water layer. When the settlers came to North America, they were fascinated by this traditional process and in awe of the delicious, natural sweetener it produced. They developed other methods to reduce the syrup, using iron drill bits to tap the trees and then boiling the sap in the metal kettles in which it was collected. Maple syrup was the main sweetener used by the colonists since sugar from the West Indies was highly taxed and very expensive. Eventually, inferior forms of sugar with no nutritional value became cheaper to produce, it began to replace maple syrup as a relied upon sweetener. In fact, maple syrup production is approximately one-fifth of what it was in the beginning of the 20th century. Maple syrup was known to have naturally occurring minerals, such as zinc, thiamine, and calcium. Seeram was enlisted to study the plant’s antioxidants, known to exist in plant structures such as the leaves and the bark, and found 13 that were not previously known to be in the syrup. Several of those had anti-cancer, anti-bacterial, and anti-diabetic properties. A previous study published in the Journal of Clinical Nutrition in 2007 found that maple syrup contains polyphenols such as abscisic acid (ABA), which is thought to stimulate insulin release through pancreatic cells very much the same way berries increase sensitivity of the fat cells to insulin, which makes the syrup beneficial for those with metabolic syndrome and diabetes. These discoveries of new molecules from nature can also provide chemists with leads that could prompt synthesis of medications that could be used to fight fatal diseases, said University of Rhode Island researcher Navindra Seeram. As part of his diabetes research, Seeram has collaborated with Chong Lee, professor of nutrition and food sciences in URI’s College of the Environment and Life Sciences. The scientists have found that maple syrup phenolics, the beneficial anti-oxidant compounds, inhibit two carbohydrate hydrolyzing enzymes that are relevant to Type 2 diabetes management. The pilot study, conducted by Dr. Keiko Abe of the University of Tokyo’s Graduate School of Agricultural and Life Sciences, showed that healthy laboratory rats fed a diet in which some of the carbohydrate was replaced with pure maple syrup from Canada, yielded significantly better results in liver function tests than the control groups fed a diet with a syrup mix containing a similar sugar content as maple syrup. “It is important to understand the factors leading to impaired liver function — our lifestyle choices including poor diet, stress and lack of exercise, as well as exposure to environmental pollutants that produce tissue-damaging free radicals,” says Dr. Melissa Palmer, clinical professor and medical director of hepatology at New York University Plainview. “The preliminary results of this research are encouraging and emphasize the importance of choosing a healthy diet to help counteract the lifestyle and environmental factors that may impact liver function, even our choice of a sweetener. 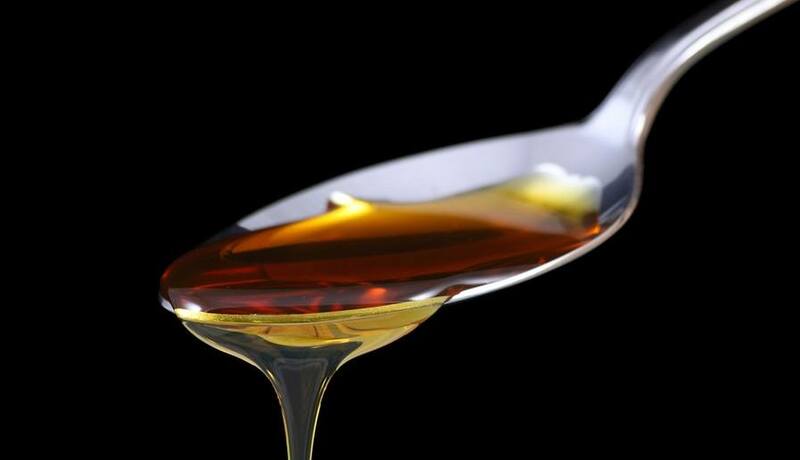 In addition to Dr. Abe’s recent findings, published research suggests that pure maple syrup may prove to be a better choice of sweetener because it was found to be rich in polyphenolic antioxidants and contains vitamins and minerals,” notes Palmer. Karen Foster is a holistic nutritionist, avid blogger, with five kids and an active lifestyle that keeps her in pursuit of the healthiest path towards a life of balance. Nahar, P.; Driscoll, M.; Li, L.; Slitt, A.L. ; Seeram, N.P. Phenolic mediated anti-inflammatory effects of a maple syrup extract against RAW264.7 macrophages, Journal of Functional Foods, 2013, in press. Yuan, T.; Li, L.; Zhang, Y.; Seeram, N.P. Pasteurized and sterilized maple sap as functional beverages: Chemical composition and antioxidant activities. Journal of Functional Foods, 2013, in press. González-Sarrías, A.; Ma, H.; Edmonds, M.E. ; Seeram, N.P. Maple polyphenols, ginnalins A-C, induce S- and G2/M-cell cycle arrest in colon and breast cancer cells mediated by decreasing cyclins A and D1 levels. Food Chemistry, 2013, 136, 636-642. Seeram, N.P. ; Xu, J.; Li, L.; Slitt, A. Mining red maple (Acer rubrum) trees for novel therapeutics to manage diabetes. Medicine and Health Rhode Island, 2012, 95, 283-284. González-Sarrías, A.; Li, L.; Seeram, N.P. Anticancer effects of maple syrup phenolics and extracts on proliferation, apoptosis, and cell cycle arrest of human colon cells. Journal of Functional Foods, 2012, 4, 185-196. González-Sarrías, A.; Li, L.; Seeram, N.P. Effects of maple (Acer) plant part extracts on proliferation, apoptosis, and cell cycle arrest of human tumorigenic and non-tumorigenic colon cells. Phytotherapy Research, 2012, 26, 995-1002. Li, L.; Seeram, N.P. Further investigation into maple syrup yields three new lignans, a new phenylpropanoid, and twenty-six other phytochemicals. Journal of Agricultural and Food Chemistry, 2011, 59, 7708-7716.